Belize sells its tourism package as one of Mother Nature’s best kept secrets. But the country’s natural resources that have come under attack by Guatemalan peasants who look across the river to an abundance of wood and opportunity. 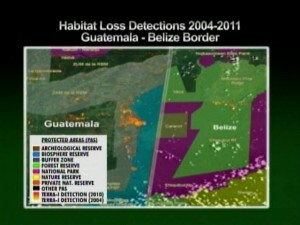 A recent study has been conducted that shows much of Belize’s deforestation has occurred over the past decade. News Five’s Isani Cayetano reports. 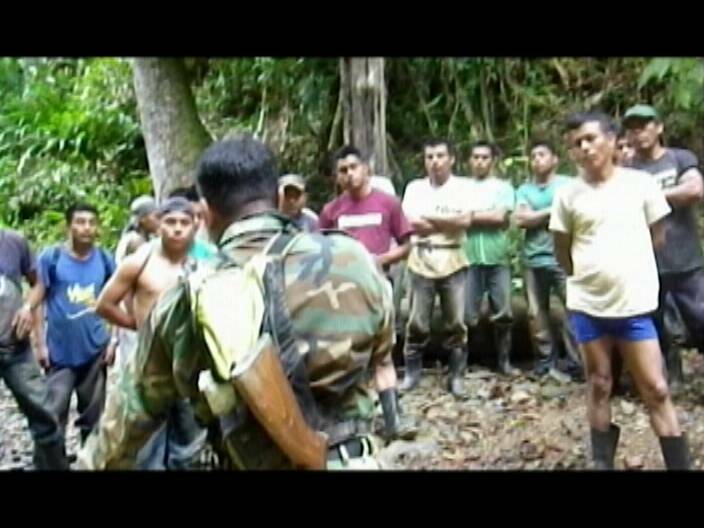 The constant incursion of Guatemalan loggers, xateros and poachers unto Belizean soil draws critical attention to the need for increased frontier and interior patrols across the length of the border. The latest armed confrontation between Belize Defense Force personnel and a group of illegal tree cutters in the Toledo District, which resulted in the death of a Guatemalan national, is also a reminder that extensive deforestation is taking place deep within our territory. 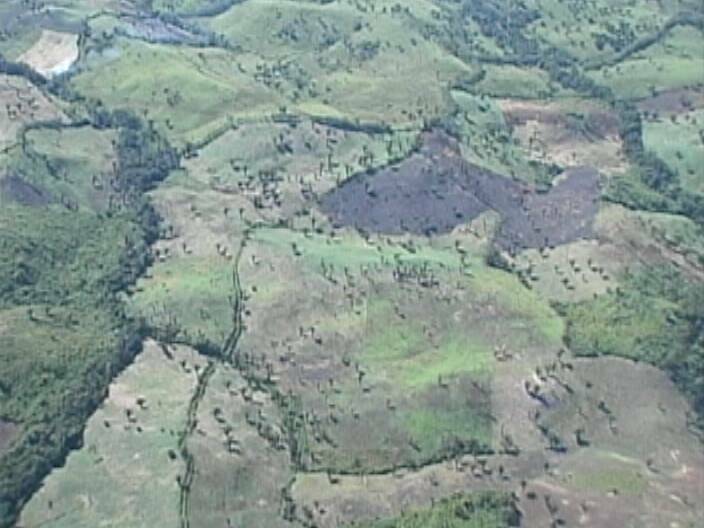 The results of a recent study, conducted on clear-cutting exercises during a six-year period, commencing in 2004, indicate that approximately fifteen thousand, seven hundred and fifty-two acres of natural vegetative cover have been logged in the Orange Walk, Cayo and Toledo Districts at an alarming rate of roughly two thousand, two hundred and fifty-one acres annually. While the unwelcomed intrusion in any particular area can be attributed to a number of prohibited activities, including mineral extraction, namely the panning for gold, denuding has increased significantly over the past decade. The graphic displayed here illustrates the topographical changes that have taken place between 1975 and 2007. 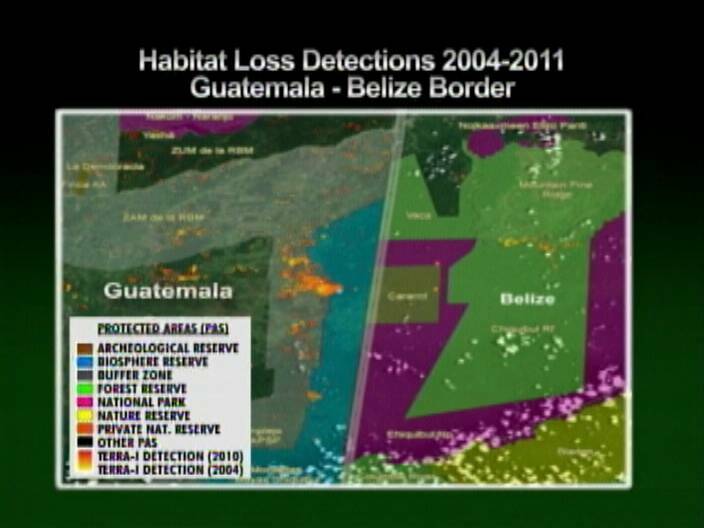 During the thirty-two years that have passed, there has been substantial habitat loss near the western border as Guatemala’s population has doubled since 1985. In the south, selective logging, xate harvesting and animal poaching, as well as geophysical exploration have been listed as the most common dangers to natural habitat. Chiquibul National Park, located in the Cayo District, is Belize’s largest protected area spanning four hundred and fourteen square miles. It is also under attack, despite a laws that have been enacted to minimize human impact. The Ceibo Chico Protocol, ratified by the Government of Belize, along with Friends of Conservation and Development and other agencies, is an example of effective legal framework that have been put in place to mitigate deforestation. 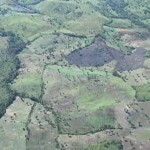 New technology developed to track habitat loss has equally proven useful in understanding the reasons behind deforestation. Reporting for News Five, I am Isani Cayetano. I blame this on the inability of both PUP and UDP administrations to make the right decisions on territorial security. If they did, they would have figured out a way to ensure that while keeping within their financial limits. Instead, they whine about how “we can’t do anything about Guat peasants crossing the border because we don’t have the money”. This is good for Belize maybe it’s better Guatemala take over Belize anyway because today belizeans no know what’s going on anyway and there is no leader in the country anyway this is why we are being invaded by everyone well belizeans if unu no wake up and get rid of this pm and gov we will be taken over by Guatemala soon. While your pm is on vacation again for the 15 th time this year while getting paid . HELL NO, GUATE AS NO REASON TO TAKE OER BELIZE U FOOL.. LETS CALL OUR MAJESTY AND SO SHE CAN SEND HER TROOP TO BZE & FINISHED WITH ALL THOSE ILEGALS ALIENS. We have an “effective legal framework” to stop this???? If it were effective the deforestation would be stopped! Seriously, deforestation is a permanent problem — go to Haiti and see what is left there, after the trees were chopped and the topsoil eroded away. Permanent desert. I still like the idea I saw in comments here recently, of training villagers to patrol and defend and report on intruders in their own areas, instead of relying on 4-man BDF foot patrols. WHAT WE ARE DOING NOW IS FAILING, SO WE NEED TO TRY A DIFFERENT SOLUTION. I just dont get it.!!! How many studies, and all kinds of office based laziness will they come up with before ACTION will take place. 4 man patrols? Thats just outrageous!!! Thats a joke. Why are we scared to act? Like Storm says, we have an effective legal framework. The border is there, OAS , is supposed to be honest(which theyre not)…And Im sure we have more than 4 BDF. Come on…The way other countries protect their borders, we can do it too. Don Zabaneh; Will the U.S. extradite john and Dion? A tale of 3 bond models; which will work for Belize? But what caused decline in cruise tourism?